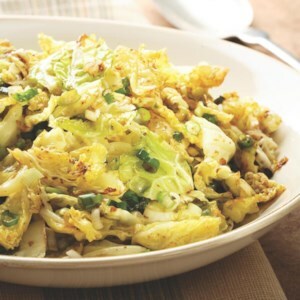 Find healthy, delicious low-calorie cabbage recipes, from the food and nutrition experts at EatingWell. 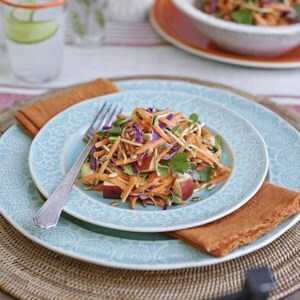 Red and green cabbage and bright orange carrots make a colorful, healthful combination. For an especially nutty flavor, use Savoy instead of regular green cabbage. 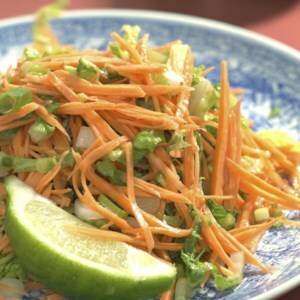 Orange blossom water adds an exotic citrus essence to the dressing in this spiced carrot and cabbage salad recipe. If you prefer, you can substitute orange juice, which will give you a similar flavor without the delicate perfumed notes. Look for orange blossom water in natural-foods stores and Middle Eastern grocers. With its slightly tart accent and caraway seasoning, braised red cabbage is an excellent foil to the richness of the roast pork. When Paul Newman and Michel Nischan opened their Westport, Connecticut, restaurant Dressing Room, Paul's request was that the menu always include a chopped salad that you could eat with a spoon. 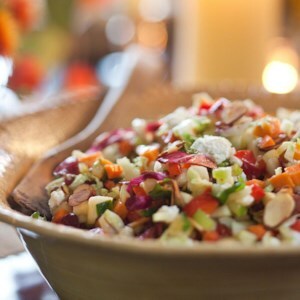 This chopped salad recipe is full of great flavors, colors and textures, featuring celery, carrots, red pepper, apple, cucumber, greens, cabbage, goat cheese and almonds. This is great for any holiday meal: you can let it stand and it stays crisp. In this quick German-inspired side dish, red cabbage is cooked until just tender and combined with sweet apples, caraway and a tangy vinaigrette. Serve with roasted pork loin or turkey kielbasa. Roasting cabbage brings out its rich, nutty flavor. We think Savoy is particularly beautiful, but green cabbage works as well. Savoy cabbage, shiitake mushrooms and leeks are braised together in this earthy Italian side dish. With slightly tart and sweet accents and aromatic caraway seasoning, braised red cabbage is an excellent foil to the richness of roasted duck. 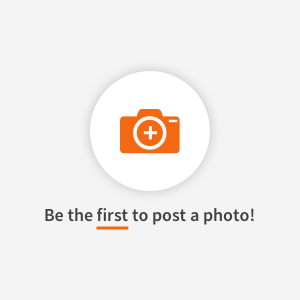 You may omit the chestnuts, if desired. 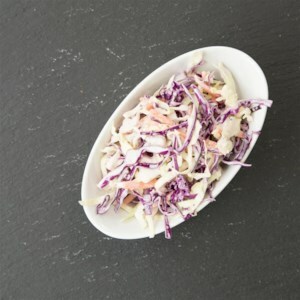 Instead of a heavy creamy dressing, this refreshing coleslaw is dressed with a light caraway-flavored vinaigrette. 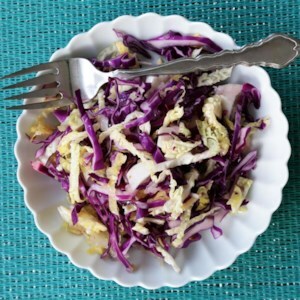 The pretty crinkled leaves of Savoy cabbage have a nutty flavor, making this slaw especially flavorful. For those who prefer creamy coleslaws to vinegary types, here's one that's rich-tasting with about a third of the calories and 80 percent less fat than a typical version. 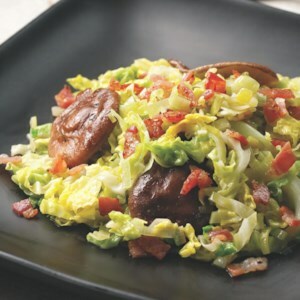 This quick braise of Savoy cabbage is flavored with caraway and mustard seeds. 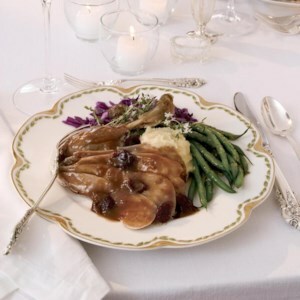 Make it a meal: Serve this wintry dish with ham or roast pork tenderloin.